Yes, that’s right folks, I’ve only gone and found a cute and crafty monster shop for you all to enjoy! And what a shop it is! 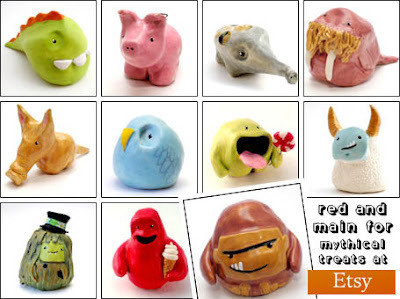 Red & Main is an Etsy shop that sells incredibly cute handmade monsters, critters, and mythical beasts! So the next time you’re looking for a super cute Bigfoot or an adorably yummy Yeti, you’ll know where to go, won’t you? And you can even pick up some pretty pottery while you’re there! How cool is that?